Life moves fast and a lack of energy is a complaint for many. 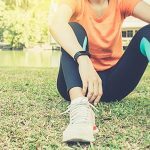 Fatigue or tiredness has become an increasingly common symptom, and there is a theory floating around that has taken on this issue. Adrenal Fatigue was a term coined by James M. Wilson, and it proposes that chronic mental, physical, or emotional stress taxes the hormone production of your adrenal glands and wipes out your energy levels. As of today, there has been no scientific research backing up this theory, but we will explore this issue while providing some facts around it. The symptoms of adrenal insufficiency are mostly different and much more dramatic than adrenal fatigue. It usually begins with loss of appetite, weight loss, and weakness. Half of the people affected will have nausea, vomiting, and diarrhea. Symptoms also include low blood pressure, dizziness, and darkening of the skin in scars, skin folds, areas like knees, elbows, knuckles, toes, and lips. If left unaddressed, it can be fatal. 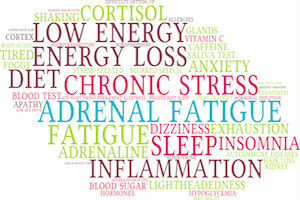 Adrenal Fatigue Supplements. 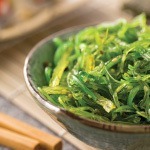 Iodine plays a large role in hormone balance. To promote hormone balance naturally, make sure you supplement with vitamin C, vitamin E, B vitamins, calcium and magnesium. For more information on a high quality vitamin supplement, I personally recommend IntraMAX®. Hormonal imbalance affects every aspect of your body and life, and the effects create a wide variety of symptoms including feeling fatigued. 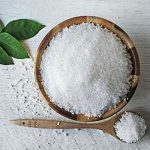 As stated in this article, hormones regulate many body functions and is imperative to know how to take control of your health. I created a webinar where you can learn all about hormonal imbalance, from causes to symptoms and remedies. I highly recommend taking the time to watch it! Pituitary Network Association. Adrenal Insufficiency (Addison's Disease). Alghadir AH1, Gabr SA2. Physical activity and environmental influences on adrenal fatigue of Saudi adults: biochemical analysis and questionnaire survey. J Phys Ther Sci. 2015 Jul;27(7):2045-51. doi: 10.1589/jpts.27.2045. Epub 2015 Jul 22.